The Ledger Nano S can now be used to log into your Binance DEX wallet. This ensures keeping your private keys offline, out of reach for hackers, while still providing you with the possibility to trade your crypto assets on Binance’s decentralized exchange platform – currently only available on its testnet. 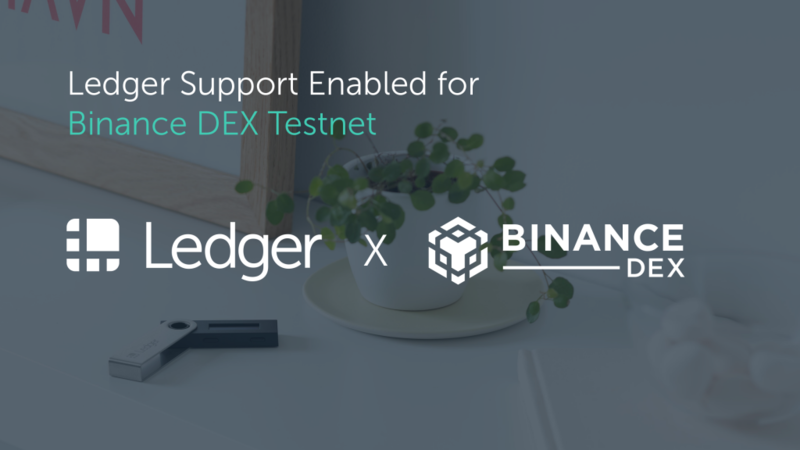 Ledger, a global leader in security and infrastructure solutions for cryptocurrencies and blockchain applications, is thrilled to partner with Binance, one of the largest cryptocurrency exchanges, on its decentralized exchange solution. This entails being able to keep your private keys offline, stored on your Ledger Nano S yet still be able to access the Binance DEX’s trading services. Security of private keys has always been paramount when it comes down to cryptocurrency management. When keeping your crypto assets on an exchange, generally speaking one would not be in charge of their private keys – the exchange would be instead. In the past, we have seen numerous cryptocurrency exchanges being hacked and crypto assets being stolen from its customers. Together with Binance, we are allowing Ledger Nano S users to connect to the Binance DEX with their device and keep their private keys secure and offline. Because of the decentralized nature of this exchange, users remain in complete control of their assets, which comes with some extra responsibility. When using your Ledger device with Binance DEX, it is of paramount importance to keep your 24-word recovery phrase secure. 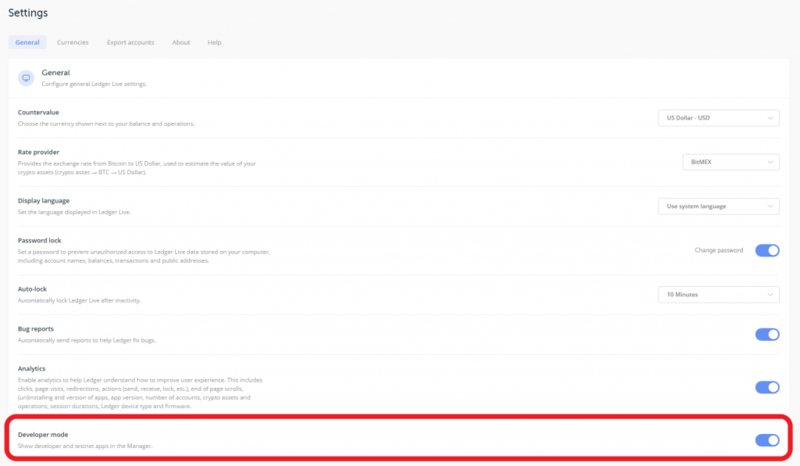 In case you cannot use your device, the Binance support team cannot help you recover your crypto assets. To get started, you will first need to download and install the latest Ledger Live release. Once, done, you can activate Developer mode in the General settings as seen underneath. Make sure you have the latest firmware on your Ledger Nano S device. Starting firmware version 1.5.5, you will then be able to download and install Binance Chain application through the Ledger Live manager tab. Make sure your device is unlocked and that you have the Binance Chain application opened. After this, you will have unlocked your BNB wallet and will be granted access to the Binance DEX testnet. Kindly remember that the Binance DEX is currently available only in a testnet version. This means that you can currently only try it out and not yet trade real crypto assets. Please do not send your actual Binance Coins to the Binance DEX Testnet. Doing so will result in a permanent loss! We are equally looking into having a working version for the Ledger Nano X as well to enable trading through the Binance DEX, everywhere you go.